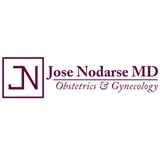 Nodarse OB GYN (West Palm Beach) - Book Appointment Online! There was no wait time when I went! Dr. Nodarse was very professional and made sure to answer all of my questions. Kathy is very personable, authentic and transparent. She made my first time visit extremely comfortable.